Hey everyone. There has been a little bit of a shift in scheduling this week. There was podcast on Monday. I had a ton of great questions, so I didn’t want to miss a show answering them. 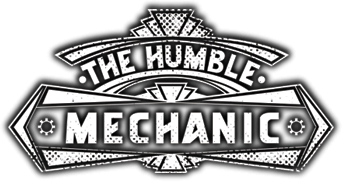 So today I am answering the questions that you sent to Charles(AT)humblemechanic(dot)com with QUESTION FOR CHARLES in the subject. Will I be at SOWO? Trouble viewing? Watch ” Viewer Questions ~ Podcast Episode 43” on YouTube. Just a little info for the guy doing his own vac pump on the tsi. The hpfp has to come out to do that gasket. Make sure when you put it back in that the follower is on a flat spot of the cam lobe, not a peak, and draw the pump down slowly and equally using both bolts. Ive seen a bunch of the plungers broken from being installed improperly as they’re super hard, and thus super brittle and they don’t like side to side force applied to them. I linked this one for the guys over at tdiclub.com to check out. Glad to hear Charles address this for us paranoid Passat TDI owners.